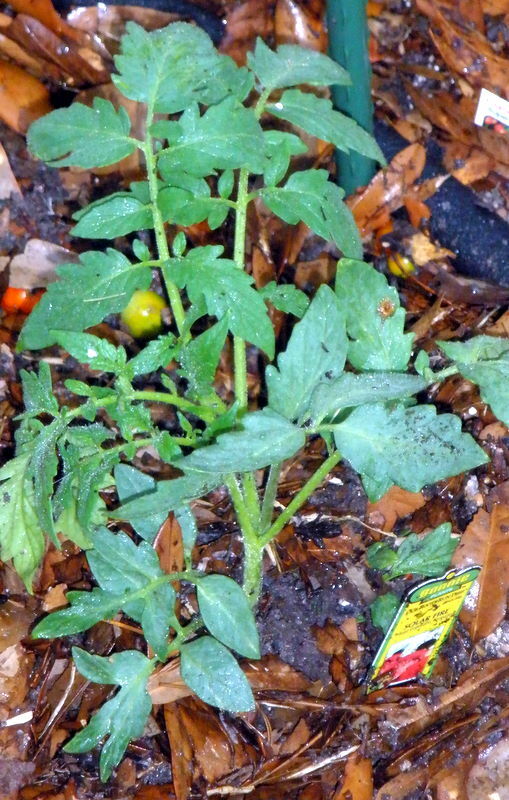 Nighttime temperatures in coastal south Louisiana aren’t falling below 72 degrees now….so tomato production is beginning to slow down. Standard varieties popular for spring planting (Celebrity, Beefmaster, Better Boy) often won’t set fruit when the nights stay warm, so it’s time to put in a crop of heat-tolerant tomatoes. I went out in search of Florida, Heat Wave, or Solar Set varieties, but all I found was Solar Fire. I planted four Solar Fire tomatoes this past weekend, just after a hard rain…I hope to find additional hot-weather varieties soon. Meanwhile, I’m picking the first of the purple hull peas….and my “Mammoth” sunflowers are about 8 feet tall, serving nicely as beanpoles. I don’t have enough sun in my backyard for tomatoes (mammoth pecan tree rules all back there) and am wondering whether I ought to try hanging some in those crazy upside down thingies on the front porch. Where did you find your heat resistant plants? If you hang the tomato under the porch overhang, it almost certainly won’t get enough sun. Can you plant it in the ground in the front yard (or by the front steps)? I bought the Solar Fire tomato transplants at Wal Mart. No, my front yard floods too badly. They’d drown. Maybe I’m just not destined to have my own tomatoes. I see all sorts of people hanging theirs from the front porch though…. So why not use a raised planter in the front yard? Build a square of landscape timbers or edging blocks (or old bricks, or whatever you have on hand). Backfill with soil, and you’ve got a drown-proof raised planting bed.